The Alaska Fire Portal provides information about fire science and technology relevant to Alaska. Our goal is to provide "one-stop shopping" for resource managers, decision makers, scientists, students, and communities who want access to the results of efforts to understand and manage fire and fuels on lands in Alaska. Content may also be relevant to boreal forests of western Canada. A substantial amount of the Alaska-related content was originally compiled through the FIREHouse project (the Northwest and Alaska Fire Research Clearinghouse), funded by the Joint Fire Science Program, and its two related projects: the Alaska Reference Database, (which was merged the FRAMES Resource Catalog, accessible through the "Catalog Records" tab below) and the Alaska Fire and Fuels Research Map, hosted through the AICC ArcIMS mapping website. The Alaska Fire and Fuels Research Map provides online site-level information and locations for fire and fuels-related studies through a map interface. Funding was provided by the Joint Fire Science Program and it is hosted through the Alaska Interagency Coordination Center. The Alaska Reference Database provides a listing of fire research publications relevant to Alaska and a venue for sharing unpublished agency reports and works in progress. The Joint Fire Science Program provided initial funding. Originally a standalone ProCite reference database, the Alaska Fire Effects Reference Database was expanded as part of the FIREHouse project, and has now been incorporated into the FRAMES Resource Catalog. The Alaska Fire Science Consortium (AFSC) is part of a national fire science knowledge exchange network supported by the Joint Fire Science Program. The AFSC's primary purpose is to strengthen the link between fire science research and on-the-ground application by promoting communication between managers and scientists, providing an organized fire science delivery platform, and facilitating collaborative scientist-manager research development. Information about the Alaska Wildland Fire Coordinating Group (AWFCG) Fire Research Development and Application Committee (FRDAC). Compiled and synthesized existing Alaska boreal forest fire history literature and datasets. The ArcBurn project is designed to integrate cultural resources information into fire management decision processes. Assessing Burn Severity project spectral library for interior Alaska. FFI (FEAT/FIREMON Integrated) is a monitoring software tool designed to assist managers with collection, storage and analysis of ecological information. The Fuel Treatment Effectiveness in Alaska project was designed to assess the effectiveness of maturing treatment projects in terms of previously defined risk reduction and fire behavior objectives in order to better understand the contribution of fuel treatments to the broader economics of wildfire management in Alaska. The purpose of this web page is to provide downloadable maps for wildland firefighting resources in Alaska, to build situational awareness before and while responding to wildland fires. 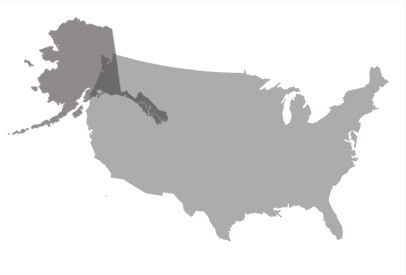 This site was developed to showcase the results of the JFSP-funded project "A Review of Available Economic and Financial Biomass Information and Tools for Federal Land Managers in the West." Researching long term (>10 yrs) response in fuel loads and vegetation composition after large and severe wildfires across five fire-adapted ecosystems in the western US, including Alaska. There are many exciting things coming to IFTDSS in 2019. The IFTDSS Development Team would like to get to know its User Community and would love to hear what you think so far. User Feedback is essential as they add new features and functionality. Session Dates: April 7-26, 2019.